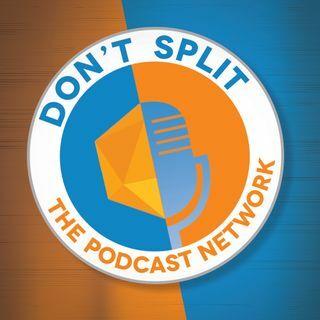 Don't Split the Podcast Network is all about games and created by veteran podcasters Rudy Basso and James Introcaso. Game O'Clock is both retrospective and modern examination of video games. Every month, lifelong gamers and brothers Rudy and Alex Basso focus on a specific genre and spend a week each looking at its history, highlights/lowlights, their personal favorites within it, and the game they wish someone would make. They'll also ... See More always be joined by a knowledgeable guest and friend to round out the discussion and bring a unique perspective. Have Spellbook, Will Travel is a fully produced and voice-acted comedy radio drama set in a magical, fantasy world. New episodes are released every other Wednesday, with a behind-the-scenes show appearing in between episodes. These BTS shows feature interviews with the cast, discussion between the writers, and other interesting trivia ... See More about production. The show itself is directly inspired by events that have happened in the Dungeons & Dragons games of the creators, Rudy Basso and James Introcaso. The NewbieDM Minicast is filled with bite-sized chunks of great GM advice from Enrique and all his amazing friends! Each episode the panel will answer one question from a caller in 10 minutes or less. Get your question answered by calling 305-349-3026 and leaving a message for the NewbieDM himself.